More than 4 years ago we looked at the Proposed GMO Mosquito Trials In Key West with the intention of releasing the Oxitec mozzie, bio-engineered to carry a lethal gene that the males can pass on to their progeny that causes them to die in the larval stage. The plan hit immediate public resistance (see Key West: Public Debate Over GM Mosquitoes), and the project was shelved . . . at least temporarily. Oxitec did a test release of GM mosquitoes in Brazil in 2014, and they reported a 92% reduction in Aedes Mosquito populations in Pedra Branca, where the test was conducted. Earlier, in 2009, a test in the Cayman Islands reduced mosquito populations by 99% (see The Cayman Island Mosquito Trials). 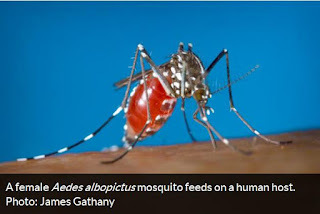 Now, with the spread of Dengue, CHIKV and Zika in the Americas - along with the growing degree of insectacide resistance around the world - suddenly GM mosquitoes, Wolbachia, and other novel control methods are getting a lot of attention again. Last Friday the FDA released a draft environmental assessment (by Oxitec) for public comment on the likely impact of a test release in the Florida keys, along with their own preliminary finding of no significant impact (FONSI) to the environment. While the FDA's FONSI is a major hurdle, any Florida release is still likely months away, while the public's comments are accepted and reviewed. The project is likely to once again face some fierce opposition. You'll find the announcement, and links to the supporting documents below. 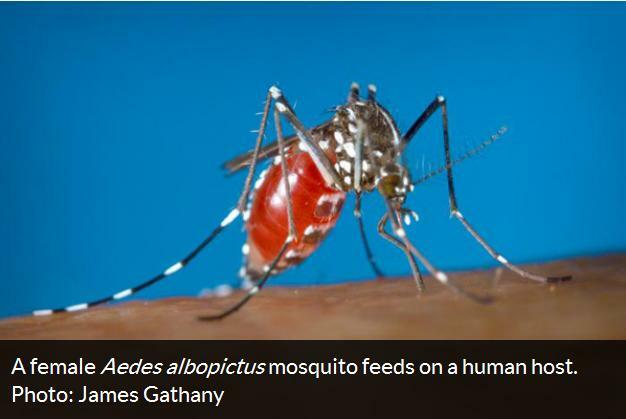 The FDA is releasing for public comment a draft environmental assessment (EA) submitted by Oxitec, Ltd., that assesses the potential environmental impacts of a field trial of the company’s genetically engineered (GE) Aedes aegypti mosquitoes (OX513A) in Key Haven, Florida. Ae. aegypti is known to transmit potentially debilitating human viral diseases, including Zika, dengue, yellow fever and chikungunya. The National Environmental Policy Act (NEPA) requires federal agencies to assess the environmental impacts of certain actions. Pursuant to FDA regulations, sponsors opening an Investigational New Animal Drug (INAD) file must submit either a draft EA or a claim of categorical exclusion from the EA requirement. The FDA is also releasing a preliminary finding of no significant impact (FONSI) that agrees with the draft EA’s conclusion that the field trial of such GE mosquitoes will not result in significant impacts on the environment. Oxitec will not conduct the field trial of its OX513A mosquito until the FDA has had the opportunity to review public comments on the draft EA, and subsequently has issued either a final EA and FONSI or an environmental impact statement. The FDA is accepting public comments on the draft EA and preliminary FONSI for 30 days from the date of publication in the Federal Register. To submit your comments electronically to the docket, go to www.regulations.gov and type FDA-2014-N-2235 in the search box. While comments are welcome at any time, you should submit them by the closing date to ensure FDA considers your comments. To submit your comments to the docket by mail, use the following address. Be sure to include docket number FDA-2014-N-2235 on each page of your written comments.